It simply adds a Wrench Simulator which allows you to use other Modded wrenches on IC2 Machines. 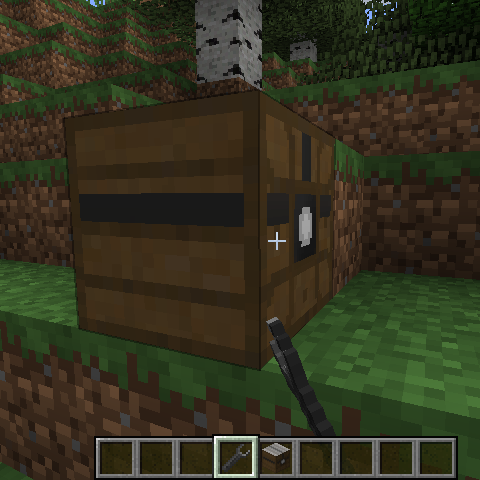 So simply when this mod is installed you can a BC wrench on IC2 Machines. Also IC2 Classic provides an API which allows you to register your own Wrenches to it so that you can support IC2 Exp and IC2 Classic. -The only config you have is: Are tools in lossless mode or not. Is there any way we can get this mod to also work with thermal expansion's wrench? May i use your mod in my modpack Psychoticraft? thank you, your mod is very useful and i don't like to carry to many extra tools.And thanks for all your hard work. Its a 5 minute ripoff of IC2Classics feature. Nothing hard but nobody did think of making these kind of tools. in 1.8.9 it should be possible... For IC2 Exp. Also they removed wrench loss so yeah..